Throughout the course of the semester I have acquired a lot of hands-on experience in producing multimedia projects using video, audio, and pictures. Media Production II has definitely strengthened my communication skills within the following areas: technologically, visually, and interpersonally. Technologically I can say that I have produced more multimedia projects than I have ever done in any media production course. I not only learned the basis of how to conduct interviews with audio recorders, the correct ways to capture effective photos, and the different angle shots that apply when capturing video with a camera; but I learned the techniques that go into putting these types of media together through the use of computer editing software systems. Our class constantly worked with Final Cut Pro when it came to editing and collaborating video and audio content, and with PhotoShop when editing and optimizing photos. In our project A Day in the Life, in addition to using Final Cut Pro and PhotoShop, I got experience in using Soundslides to put together a slideshow with pictures and audio. Along with learning how to use different types of technology to put together these multimedia projects, I had to challenge my creativity and learn to compose effective, visual projects that would appeal to the audience. It is one thing to capture the necessary shots for a project and another thing to actually put it together in an effective, creative manner. I learned to capture videos and pictures through different angles by using the 5-shot rule, in order to visually tell the story of the interviewee. When editing, the placement of the video shots, audio, and pictures all took into account because it was a matter of correlating what the interviewee was saying with the appropriate footage, ambient sounds, and photos to effectively create a story. Due to the fact that every project was published on Word Press, it helped me be conscientious of the visual quality of my projects, especially when working on A Day in the Life, A Taste of StMU and a Scene on Campus. I personally learned a great deal from this course. It not only enhanced my ability to produce multimedia projects through the usage of an audio recorder, camera, and computer editing software, but it taught me a whole new aspect of communication. I have acquired skills that I know I will be able to apply in other aspects of my undergraduate career and after graduation. Scene on Campus: Feel the Rhythm! 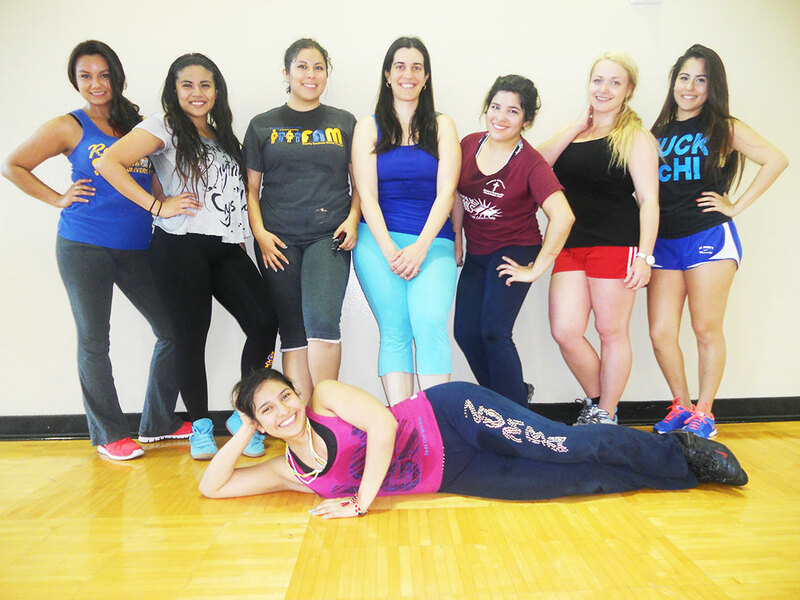 Zumba instructor Coatlicue Molina, a sophomore political science major, expresses her passion for Zumba Fitness as we get an insight at one of her Zumba classes at St. Mary’s University. This fun and invigorating workout is fit for anyone at any age. It’s all about feeling the rhythm and joining the party! Koryn Wade, a junior english major, shows off her passion for cooking by preparing a delightful dish from a recipe that has traditionally been passed down her family for years. 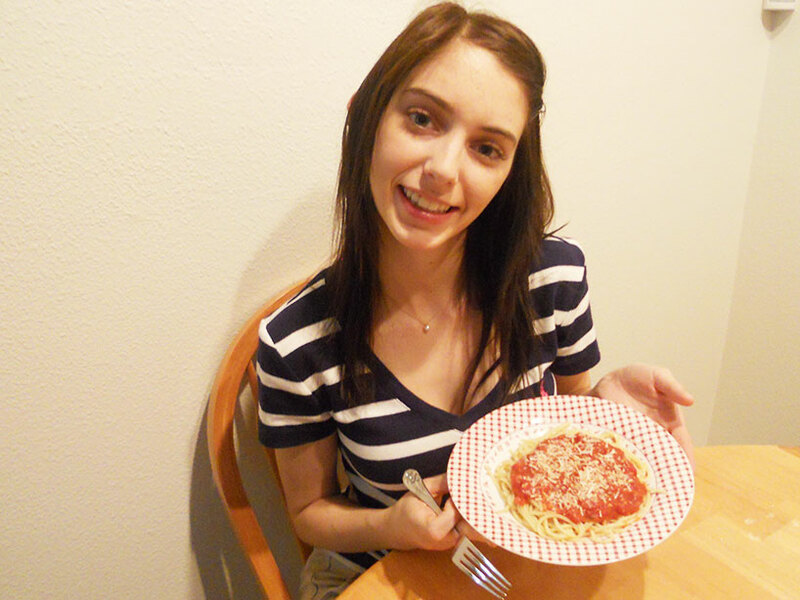 Spaghetti with tomato sauce is one of her favorite meals to eat and make and can be easily prepared by anyone within a short matter of time. This delicious and easy to make dish will surely suffice the hunger buds of any person at any age. Begin with a medium sized deep skillet and place it on the stove at medium heat. Open and pour in all three types of can tomatoes. Do not forget to wash out the rest of the paste into the skillet, just fill the can up with water, stir it around to get the rest of the paste and pour it into the skillet. It’ll take about 5 minutes to warm up the unseasoned sauce, while this is happening take a medium pot and fill it half way with water and sprinkle a dash of salt into the water, which will help it boil faster. Once the water is boiling, snap the angel hair in half and gently place it into the boiling water. Turn down the heat of the boiling water and let it cook for about 10 minutes, or until it is fully cooked. Then add all the seasonings to the tomato sauce, cover, and let it simmer until the pasta is ready. Finally, drain the pasta (add butter if desired), and then pour on the sauce and you’re ready to eat. Rev. Tim Eden, S.M., University Chaplain at St. Mary’s University, expresses his love for teaching and passion for the Marianist faith. Not only does he play the role of a professor within the theology department, but also the role of a reverend for the Marianist brothers, students, and faculty of the St. Mary’s community. Reverend Eden expresses the gratitude he has for working at St. Mary’s University and the happiness of being part of its wonderful community. Keep Calm and Golf On! 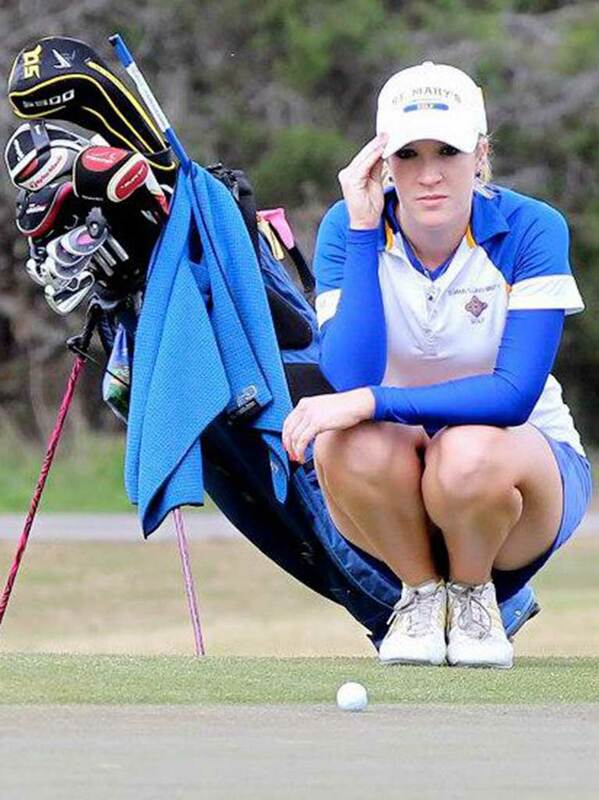 Bailey Ferguson, a sophomore at St. Mary’s University, shares her ultimate passion for golf as she explains how she began playing, techniques she does to always stay on top of her game, and how she hopes to keep that connection with golf after graduation. This is a website project for a media production class at St. Mary's University. Hope you all enjoy!